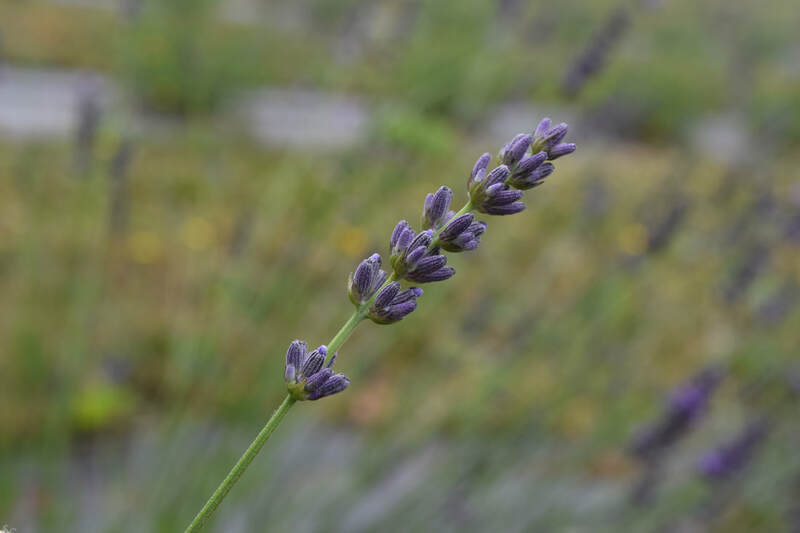 When should I harvest my lavender? 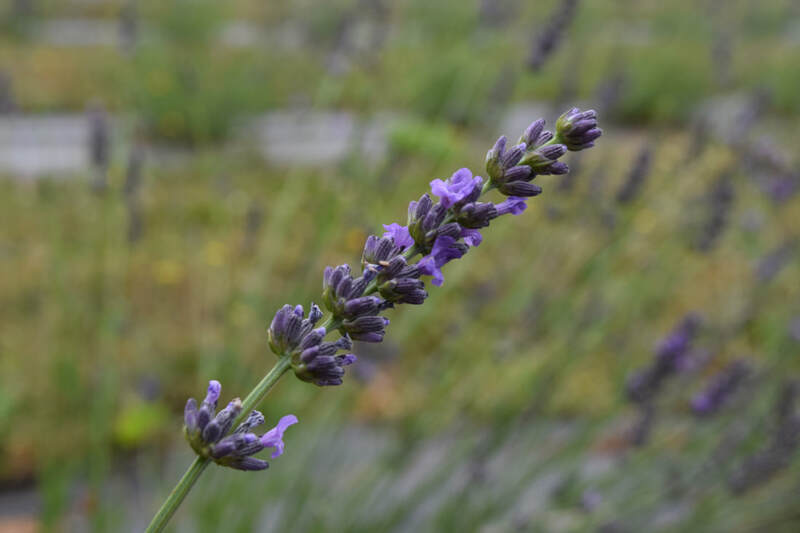 This is a question I often get asked, and it really depends on what you want to do with the lavender you are harvesting. The lavender above isn't quite ready to harvest. Although it is very close to flowering, it needs another day or two in the field. 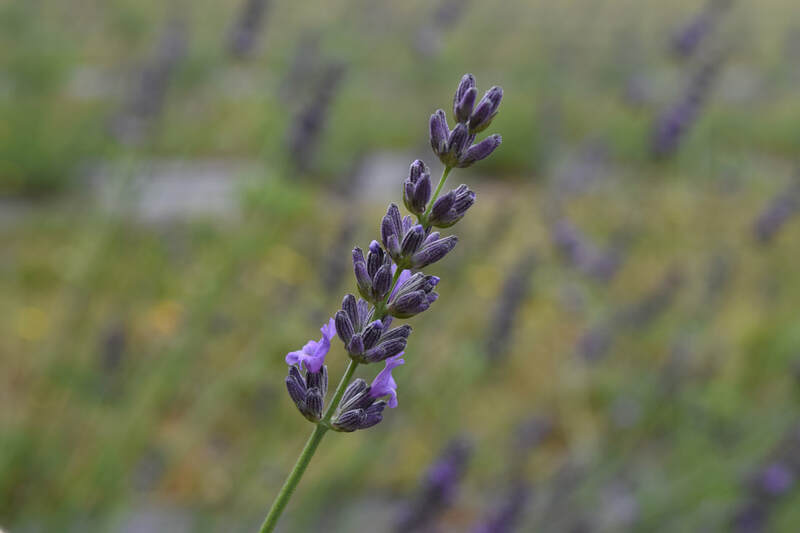 If you are harvesting for culinary uses, you should first of all only harvest angustifolias (also known as English Lavender or “true” lavender) and harvest it when just 2-3 buds have flowered, as shown above. The reason behind this is that once the lavender dries, you won’t want the spent flowers in with the buds. One or two in there is fine, but more than that and it just looks unsightly. ​If you are harvesting for fresh or dried bouquets, again, cut when just a few flowers have opened. The buds will stay on the stem better if they haven’t yet flowered and there will be less shedding. If you are harvesting to make essential oil, harvest once about half of the flowers on the spike have withered. Whatever you are harvesting your lavender for, it is sure to smell amazing! And there is nothing better than spending an hour or two in the garden, harvesting the result of your hard work and care!